Love all things Pumpkin Spice? 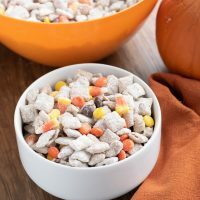 This Pumpkin Puppy Chow recipe is the perfect fall snack for a football game, Thanksgiving or Halloween party. It’s the middle of November, which means the three-month-long gorge-fest has already started! Isn’t it crazy to think that we have back to back holidays, right in a room? It’s impossible to say no to all the treats and food options there are, so why not create your own delicious dishes to join in on the fun? Parties invites are already rolling in, so this recipe is an easy one to make and take! This is the stuff I have to hide from myself so I don’t eat it all before the party starts. (and if you do, just make another batch because it’s super duper simple!) Hopefully, you can exercise more restraint and make a huge batch for your next Holiday event. 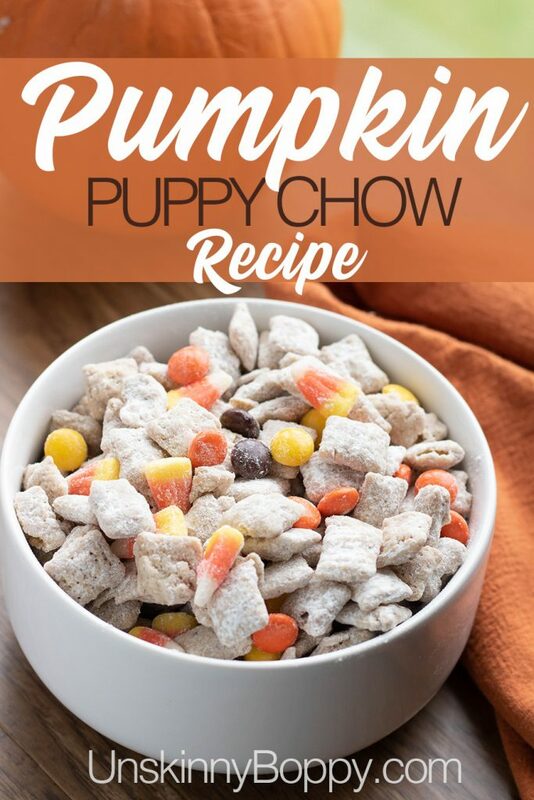 (I also like to make this and hand out to friends and family members as well because no one can say no to Pumpkin Puppy Chow! Love all things Pumpkin Spice? This recipe is the perfect fall snack for a football game, Thanksgiving or Halloween party. 1. 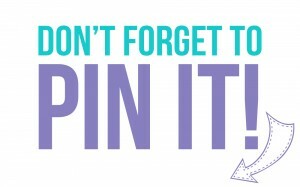 Add the cereal to a large mixing bowl. 2. Melt the chips in 30-second intervals in the microwave on high, mixing in between. 3. When melted and smooth, mix in the ½ cup pudding mix. 4. Pour over the cereal, and gently mix. 5. In a large freezer bag, add the powdered sugar and the 2 tablespoons of the pudding mix, and shake until combined. 6. Pour cereal in the freezer bag and shake until well coated. 7. 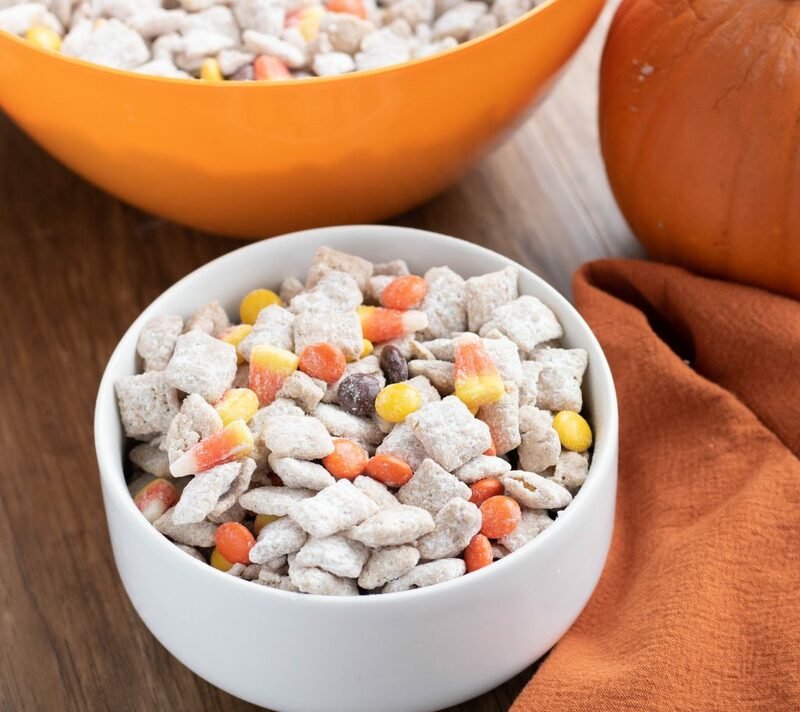 Add coated cereal into a large bowl and add in Reese’s pieces and candy corn, mix until evenly combined.